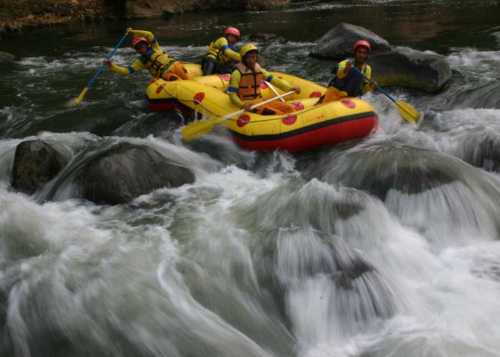 Songa probolinggo rafting is one of the tourist concept that combines two main attraction nature Indonesia. extreme sports and the natural beauty that is packaged well, and is accompanied by the ability of the human resources that meet national standards in both the capabilities and services. 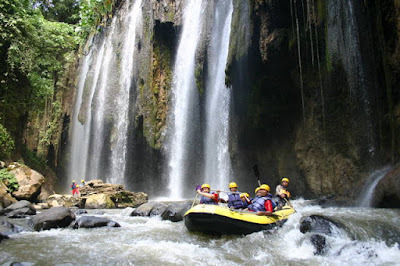 certainly will pamper you all behind wild river rapids kromong. 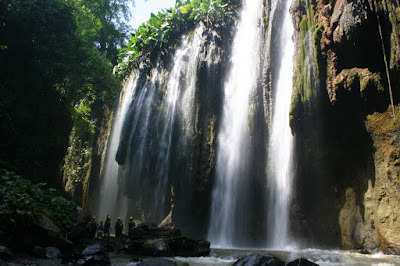 Songa is one of the most popular tourist after Java Mount Bromo. Tourist resort of Songa Rafting is an adventure travel down the river Pekalen located in the village of Ranu Gedang, sub Tiris, Probolinggo district, East Java province. Ranu village called Gedang, because in this country there are many banana trees (in the Java language called Gedang bananas). 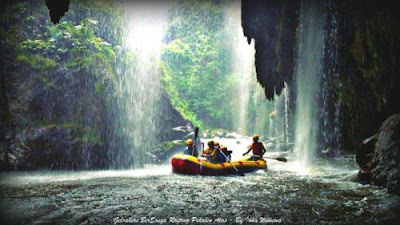 Songa Probolinggo rafting is a natural attraction which presents the exciting experience white water rafting adventure. Rafting adventure tourist spot is located in Probolinggo, or precisely in the village of Ranu drum, Tiris, Probolinggo, East Java. From day to day these attractions even more attractive to tourists both local or foreign. 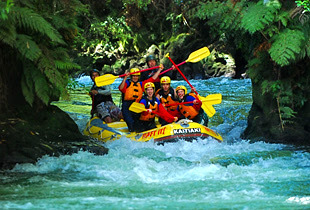 The tourists terutma the Rafter claimed to feel challenged to try out was swift river currents. Rafting at the start from Top Pekalen which has a higher difficulty levels for rafting compared with Down Pekalen . Sourced from Mount Argopuro springs and mountain rivers Lamongan with an average width of 5-20 meters and a water depth of approximately 1-3 meters. The distance from start to finish approximately 12 kilometers covered during 3.5 hours. Number of rapids around 50 pieces such as Welcome, Stone Beard, the Pandavas, Eagles, Xtravaganza, KPLA, Triple Ace, The Fly Matador, Sharks, Cucak Rowo, Rapid Long, Good Bye. 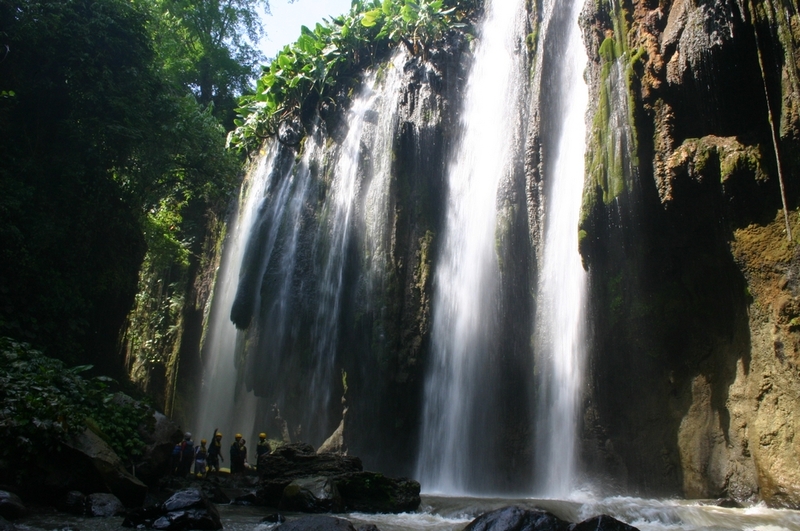 As one of mainstay attractions Probolinggo district has Lamongan mountain springs and Mount Argopuro. The width of the river reaches the range of 5-10 meters with water depth of approximately 1-3 meters. With the current is swift tourism is one of the tourist attractions rafting challenge that you should try. 1. Pekalen River Upper included in the package Beautiful Trip with the distance of 12 km. 2. River Middle Pekalen included in the package Fantastic Trip with the distance of 7 km. 3. River Bottom Pekalen included in the package Incredible Trip with the distance of 10 km. The rafter ever tested the swift currents of the river there even provide the title of river rafter Pekalen as a paradise or a paradise for rafters. 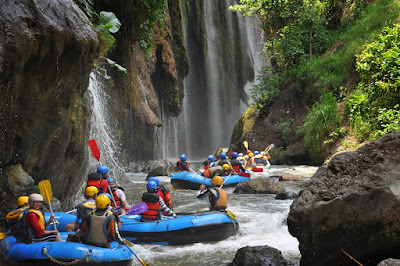 Because Pekalen river rafting not only offers a challenging and varied. But the river Pekalen also presents a complete dish in the form of beautiful nature with rows bat cave. 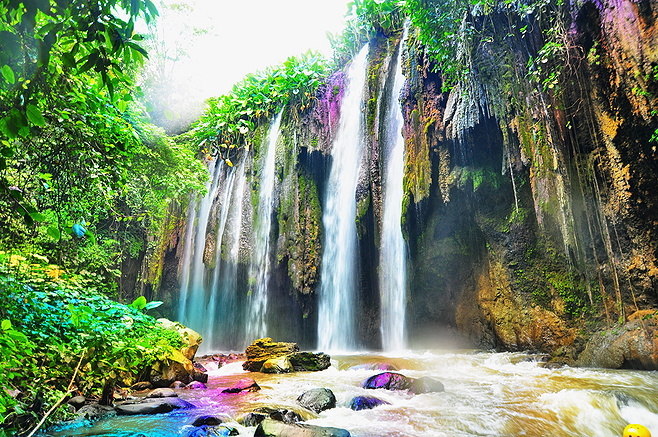 Waterfall also looks very attractive. 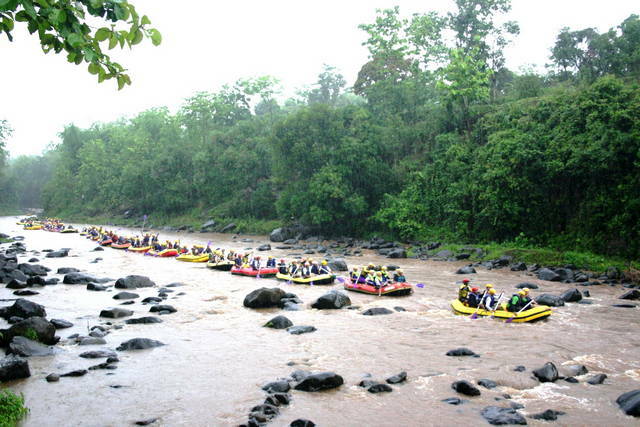 Similarly picture Songa excitement rafting tour rafting. Hopefully this review given time can provide useful reference for your next holiday destination.